Find hotel near Firkas Fortress And Marit .. The building was used as a barracks to house the Turkish army,to protect Chania from raiders from the sea. This was also the place where Crete’s union with Greece was celebrated. Check out the fantastic panoramic view of the harbour… and then come down to the museum. The bridge of a World War II torpedo boat. Adults 2.50 €, Students 1.50 €. Children up to 6 years- free. How popular is Firkas Fortress And Maritime Museum Of Crete? People normally club together Chania Archaeological Museum and Old Venetian Harbor while planning their visit to Firkas Fortress And Maritime Museum Of Crete. 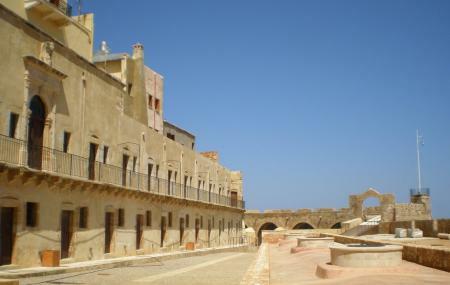 People also prefer to start their day with Firkas Fortress And Maritime Museum Of Crete. Important castle right opposite of the lighthouse unknown to many well-known for the basements where the otomans use to torture the local rebels during the years of the war for independence. First place that the Greek flag erased when Crete got it's freedom. Great views of the harbour and lighthouse.